Apple [AAPL] announced earlier today that the worldwide launch of the Apple iPad, which include the UK iPad launch would be delayed from late April until late May 2010. Whilst Apple didn’t give an exact date of when the iPad would go on sale in the UK, they did announce the date that you would be able to pre-order one from. 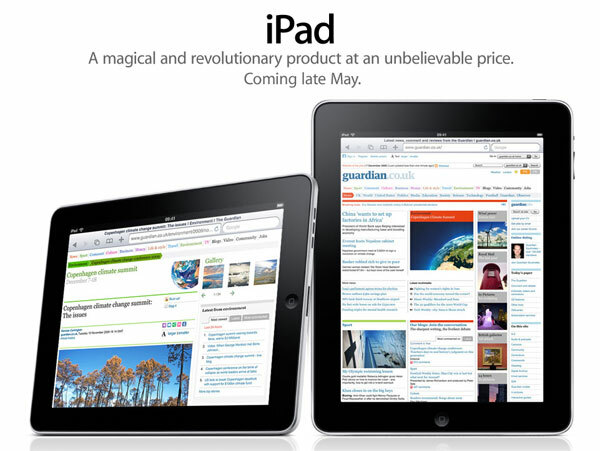 From the 10th of May 2010 you will be able to pre-order an iPad from the UK Apple store, although we are not sure of the exact UK launch date, as Apple have said late may it could be around the 22nd of May if Apple choose a Saturday for their launch as they did in the US. As soon as we fins our more details on the exact UK launch date for the iPad as well as pricing we will let you guys know.